Among the God of War bosses, like The Stranger and Soul Eater, you'll also find the Stone Ancient. This huge boss fight is possibly the first tough challenge that you face. The fourth boss in God of War might seem sluggish with his movement, but his immense power makes up for it. Find out how to beat Stone Ancient and take a look at the strategy we used to defeat this hulking beast. One of the key points to remember when trying to take down Stone Ancient is that his weak spot is his chest. You can damage him when he opens up his chest to fire the beam of light by throwing your axe from a distance. Like other boss fights, your dodge move is crucial If you want to avoid damage. Get ready for the blasts from the Stone Ancient's chest and roll out of the way. There's no need to get close to him at all during the fight, so keep a distance. When you've launched your attack at his chest, parts of the Stone Ancient's Heart will fall off. You can grab these and throw them at him. Immediately the boss will be stunned, allowing you to rush up to him, press R3 and deal him some serious damage. Things get a little more hectic when the Dark Elf Warriors arrive, so make sure you command Atreus to held you by targeting them and pressing the square button. He will help deal some damage with his arrows. Concentrate on taking out the Dark Elf Warriors first, before turning your attention back on the Stone Ancient. 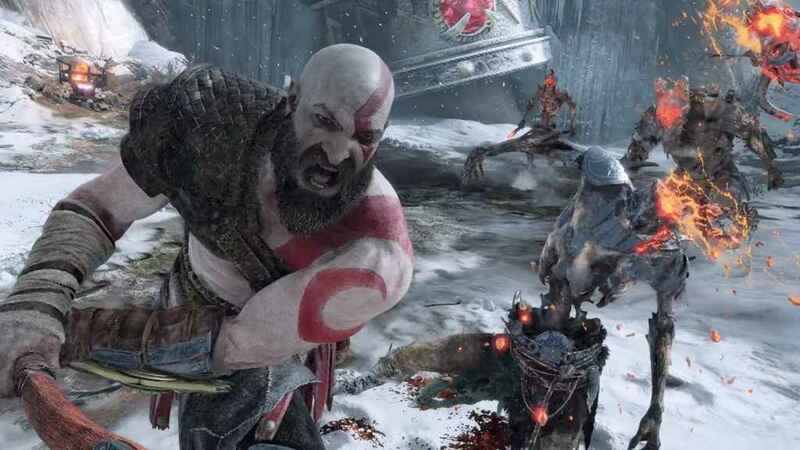 If you thought the Stone Ancient boss fight was tough, wait until you take on the final boss in God of War! For more tips, check out our God of War Walkthrough For PS4. I made video that will show the best, safest and quickest way to defeat the stone ancient.